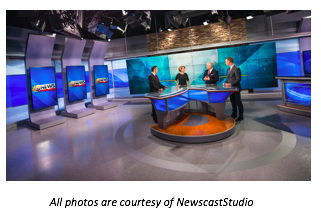 Allentown, Pennsylvania may be a small city, but local television broadcaster WFMZ had big ideas when incorporating cutting-edge AV into their recent studio redesign. 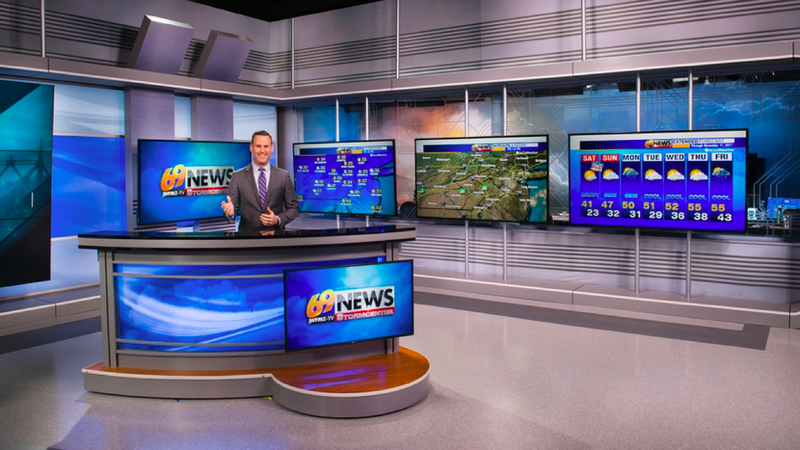 Unlike most traditional broadcast sets, WFMZ required that theirs have the ability to stretch graphics and video content across multiple displays – without compromising on image quality – during a live broadcast. To build the unique and sophisticated videowall system they had in mind, they called on Devlin Design Group for the set design, and integration firm Advanced. “Our job was to build an AV infrastructure that has no limitations on configuring content across a range of displays from multiple manufacturers,” Advanced Executive Vice President Mark McPherson said. “We built a videowall system that successfully allows WFMZ to work with an infinite number of display layouts while using a 4K signal. Now, WFMZ is not limited by signal bandwidth in any capacity." Advanced was able to achieve WFMZ’s desired flexibility by building the entire videowall system around a VuScape Videowall Controller, which allows the production team to seamlessly configure how display signals are distributed. For the display portion of the integration, Advanced built a 6ftx 3ft NEC Ultra Narrow Bezel Display videowall flanked by several smaller displays, including LCD monitors from SHARP and LG. According to Advanced Vice President of Engineering Kevin Linton, the most challenging aspect of the installation process involved the integration of several of the older technological components on set with the newer AV. Particularly, WFMZ wanted to control all presets and videowall layouts from their older pre-existing production switch. For seamless control, Advanced had to integrate it with the ROSS overdrive system, a network-based control application. For hi-res images, all of which were supplied by NewscastStudio, click here.